Jack and Dixie Bontrager of Whiting will celebrate their 60th wedding anniversary with a reception from 2 p.m. to 4 p.m. on Sunday, Aug. 5, at the Trinity Lutheran Church in Holton. 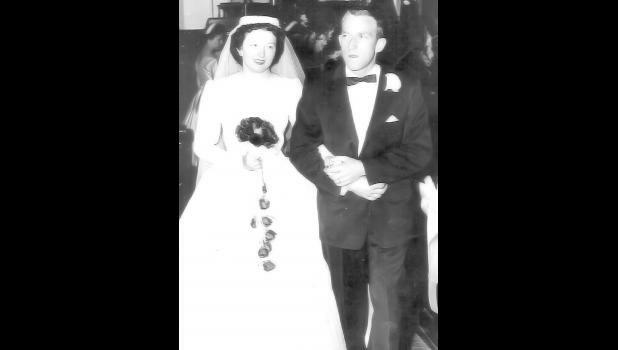 Jack Bontrager married Dixie Nickell on May 4, 1958, at the First Methodist Church in Holton. Jack worked for Goodyear for 32 years before retiring in 1997. Dixie worked as a rural postal carrier for more than 30 years. They have lived in the Whiting community for most of their married life. Hosts will be their three sons and their wives, Mark and Vicki, Bruce and Barb and Rex and Cindy. Jack and Dixie have nine grandchildren and nine great-grandchildren. All friends and relatives are invited to attend the reception. The couple requests no gifts.